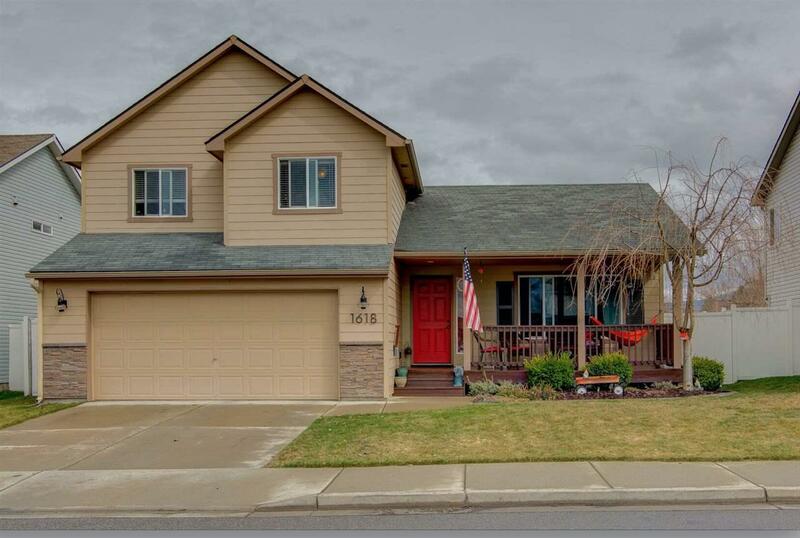 This stylish CV home boasts cathedral ceilings, tile plank wood look floors, open kitchen w/upgraded cabinets, & crown molding. 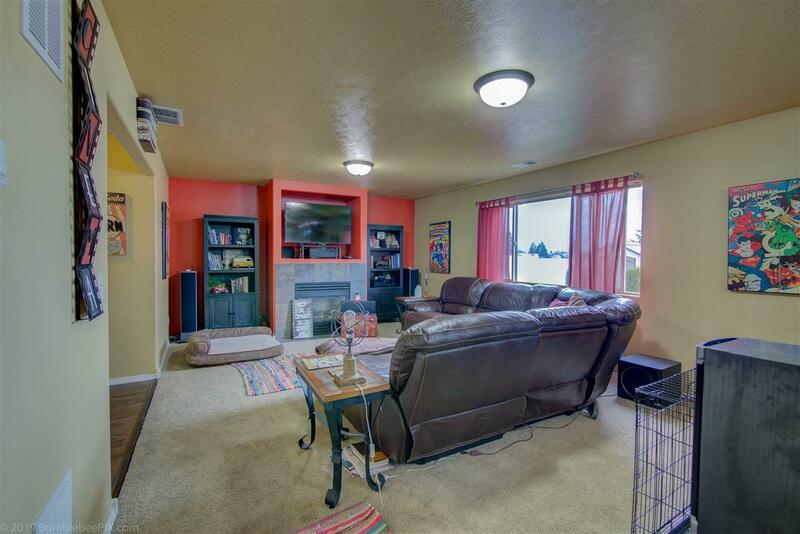 Large master suite w/walk-in closet & full bath, 2 large family rooms up & down, forced air/gas/AC. 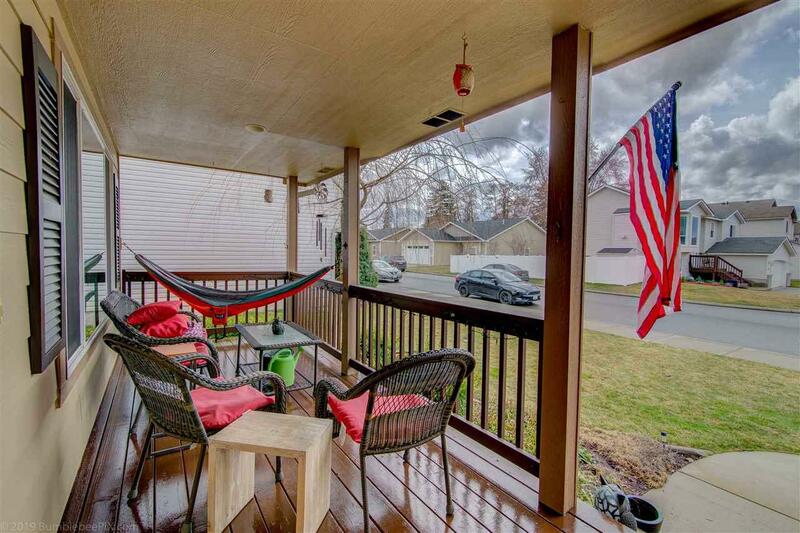 Nice private deck off kitchen w/full sprinkler system front & back, & wired for hot tub. 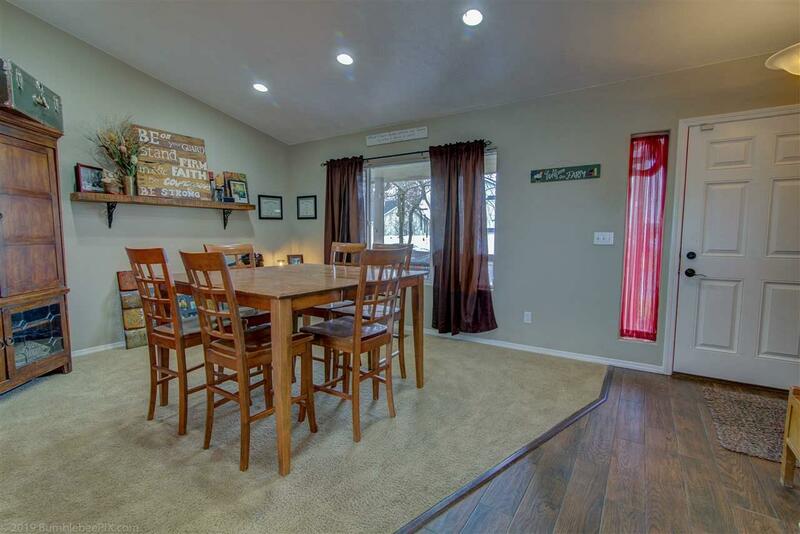 Other amenities include: hardiplank siding, fenced backyard, lots of storage, gas fireplace, & storage shed. Backyard Installed with sprinkler and vinyl fence & country view off the back deck.